Is The Huracan Performante Any Good As A Grand Tourer? That fancy track hardware changes the Huracan’s character just a wee bit. 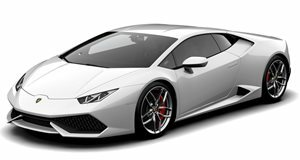 Getting adopted by Volkswagen is either the best or the worst thing that’s happened to Lamborghini depending on whether you judge a car by its purity or ability to pull off a stunning lap time, but there’s no denying that the Huracan Performante ups the game for Lamborghini. A generation ago, the Italian supercars were best known for striking looks, drama up the wazoo, and responding to corners by ending up off of the track. Oh how things have changed. It wasn’t until that pesky McLaren P1 LM took to the Nurburgring that the Performante held a record there. Sure, it had it’s tail whooped by the Brit, but the P1 LM has a production run of only six, and one of them is even a prototype. Lamborghini is sure to make more Huracan Performantes than that, but the takeaway here is that the brand has evolved away from building bulls for brutes and now makes legitimate track day monsters. Carfection got ahold of the Huracan Performante for a few laps on Italy’s Imola circuit before taking it to the back roads to give us their thoughts. The result? Well what do you think? It’s a track-bred race car that finally brings the Huracan to the level of track day supercar, something the original Huracan can’t boast. It’s also great for Sunset Boulevard or Monaco bragging rights, but the stiffer suspension and stiff seats make it a bit of a chore as a daily or a grand tourer. Did you really care about that anyway?